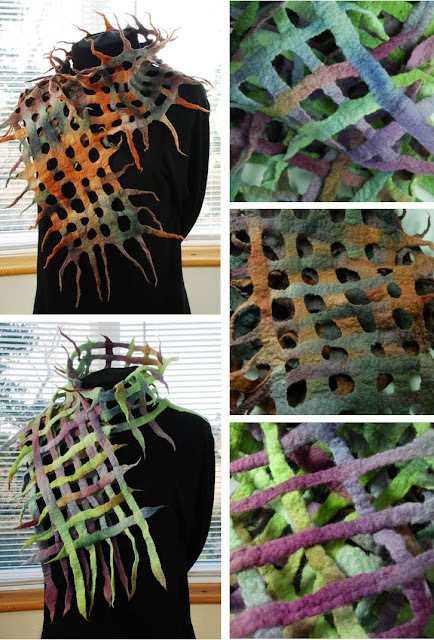 I don't know what the collective name is for a group of scarves…? I thought a "breeze" worked well enough as I battled against the wind, while KC patiently tried to photograph the new scarves outdoors, trying to take advantage of the light on this beautiful sunny wintery day. But felt is very light-weight and these scarves fluttered at the slightest breeze… So we moved back inside! 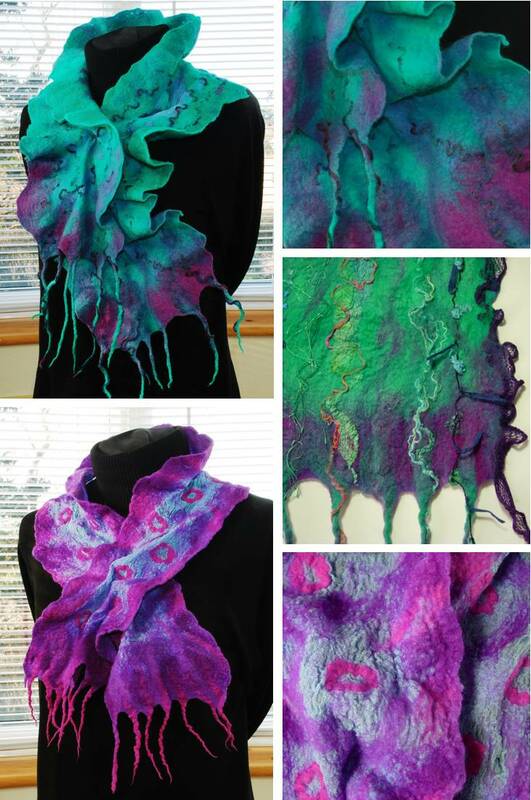 The Scarf Workshops are taking place in Newport on 30th January and 29th February. 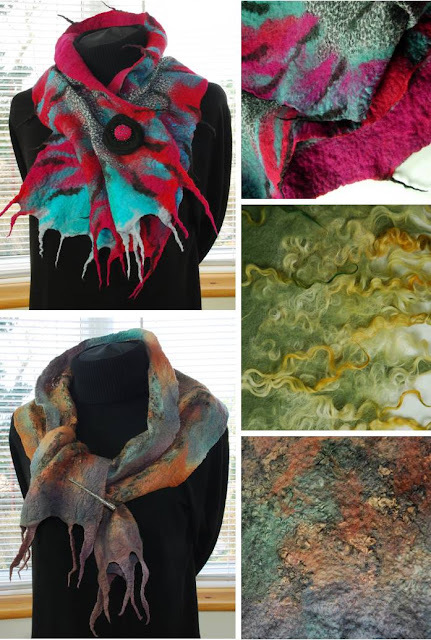 These workshops are for all abilities and as you can see from the photos there will be plenty of opportunity to experiment with techniques, colours, fibres and textures. You'll find more information on the previous post 'Scarves & Textures' and you can make a booking through OliVen the Patchwork Cafe on 01983 554 934. It should be a really exciting day!